Attendees will learn about the application and availability of sedimentary stones like Jura limestone. We will address the veining of the stone, the obstacles of designing massive corners, its supply limitations and ideal sizes for projects undertaken on a budget. Also will be discussed the various finishes of the material, and their aesthetic and functional implications. 35 Hudson Yards will be presented as a case study, providing as it does a good example of successful value engineering whereby the architects’ vision for the project remained uncompromised. 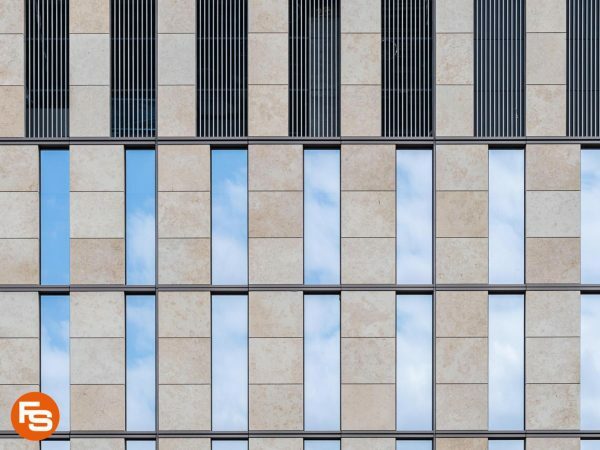 200,000 SqFt of Jura Limestone, comprising over 23,000 assembled elements, were used to clad the façade of this mixed-use tower for the Hudson Yards megadevelopment. Through a tour of a stone facility, attendees will be familiarized with a variety of stones, as well equipment used to fabricate them and the parameters of their application. You will also learn how safety in production practices is an integral part of the stone industry. Also under discussion will be: modern day quarrying techniques.